Activated charcoal at home teeth whitening has become immensely popular these days. Social media is replete with images and videos of people brushing their teeth with charcoal to get whiter, brighter teeth. 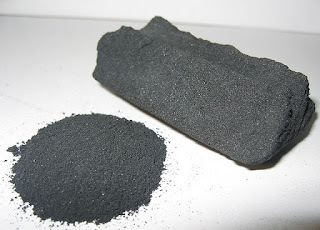 Activated charcoal is a finely milled powder made of coconut shells, coals, sawdust and then processed under high heat to remove its impurities and make it highly porous. These small pores increases the adsorption capacity of activated carbon and makes it highly efficient in trapping unwanted substances. While activated charcoal has been approved by the FDA for its several health uses, the American Dental Association (ADA) has not yet approved any activated charcoal products in dentistry. Charcoal might possibly be effective in absorbing plaque and other impurities that stain the teeth, resulting in whiter teeth. Several before and after pictures on the internet also suggest that it may work but is charcoal teeth whitening completely safe? Dentists, however warn that though the cosmetic result of the method might work for some users, the long-term internal effect may harm people’s teeth. As per a Fox News article, it may even may lead to enamel deterioration and tooth erosion. “Teeth are the only part of the ectoderm that does not replenish or heal itself— once it’s gone, it’s gone. Approved products seep through the enamel and into the inner layer of the tooth called the dentin, which influences tooth color. Users and dentists don’t know how severe the charcoal supplement may be, so it may leave teeth stained or blotchy. The trendy product may also leave tooth enamel susceptible to deterioration and erosion, which can lead to sensitivity and cavities. When you lose enamel, teeth get sensitive and darker in color because you’re close to the part of the tooth that has the depth of the color. Since you can’t grow it back, the only thing you can do is cover it up with restoration. ", explains a Michigan based dentist. Abrasion of teeth is the main risk involved when you turn to charcoal teeth whitening. So if you must try it, just smear it over your teeth and then wash off; never brush it vigorously over your teeth as it could lead to teeth erosion. And never overdo it and by that I mean, don't use it on a regular basis. Even exercise caution while buying any charcoal based toothpaste and choose the one which is least abrasive. However, It’s best to turn to a professional tooth whitening method that is promoted by dentists which will definitely provide you with a whiter and brighter smile. ZOOM Teeth Whitening is used by countless dentists throughout the United States to give patients with the beautiful, white smiles they’ve always dreamed it. Whether you’d like to achieve whiter teeth for a special occasion or are simply self-conscious about the current shade of your teeth, ZOOM is the way to go. The ZOOM Teeth Whitening procedure takes less than an hour and begins with a brief preparation to cover the lips and gums and leave the teeth exposed. The dentist will then apply the ZOOM hydrogen peroxide whitening gel and leave it for about 15 minutes while a special light is activated. The gel is applied for three 15 minute sessions and can allow you to enjoy a smile that is up eight shades lighter. To try ZOOM, schedule an appointment at Lane & Associates today. You can achieve an attractive, perfectly white smile without any discomfort or sensitivity. On another note, you might find these DIY Beauty Uses of activated Charcoal also very useful.